I wanted to like this so bad. It has been staring at me from the TBR pile for far too long for me to be ok with not especially liking it. I found myself bored at anecdote after anecdote with little to no connection whatsoever to the cooking challenge. I liked reading some of the responses her blog received, but I would really have liked to read some of the blog posts themselves! After all, the blog is a big part of the Project. I did enjoy Powell's witticisms and her humorous outlook on her whole situation. But ultimately, I had to force myself to finish it. This was my last read of 2017 and my first ever Agatha Christie. Loved it! Not sure where to begin with this book. This is the first romance novel I have ever finished. 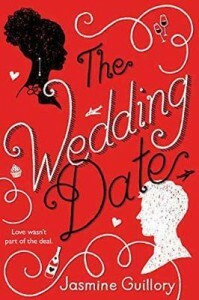 As a horror and nonfiction reader, I really ventured out of my comfort zone with The Wedding Date. And I am SO GLAD I DID!! I loved it! 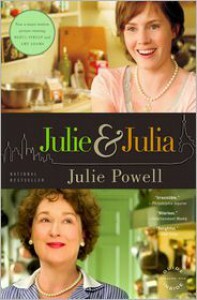 Both main characters are intelligent with prestigious careers, and interesting in their own right, very well developed. And their love story is far from perfect, with ups and downs all along the way. I completely identified with Alexa's insecurities with her body image and "why would he choose me out of all the girls in the world?" attitude. 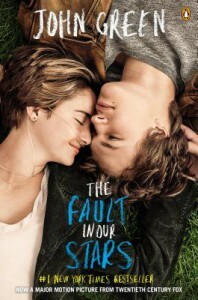 I chose 4 stars instead of 5 because of the predictability in some places, but they did not detract from the overall novel. A definite must-read! I devoured this book! I found this book to be just okay. I picked it up during a circus / carnival phase and it took me quite some time to even get into it. I was bored during the majority of the book. I wish this book had diagrams and clearer COLOR pictures. 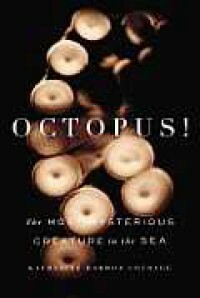 The author did a decent job explaining the physiology and habits of octopuses, but even well-chosen words hardly do justice to the alienness of an octopus. This novella did not redeem itself for me. Curran has a great idea here with his time gateway, which is the only reason I am giving this 2 stars instead of 1. My copy is marked up with spelling, punctuation, grammatical, and consistency errors. I would love for the author to see all of the ridiculous, simple mistakes that he allowed his book to be published with! I stated in my previous review (below) that I was hoping his monster would make the story great for me. But it didn't. Godzilla destroyed Tokyo, this guy destroyed a small fishing village. It left me craving originality. I would love to see the time gateway premise utilized in a longer work by a writer with more talent and vision. The very first thing that bothered me about this book was obvious before I even cracked the cover. I purchased it online and didn't realize the spacing/formatting error on the back cover until I physically had the book. I am usually put off by books that are just thrown together without consideration for obvious errors. Like the skipped line in the middle of the sentence on the back cover. It seems that was just the beginning of my disappointment with Leviathan. By page 8, I had already found several very blatant errors in tense and hyphen usage, as well as 'your' instead of 'you're'. As a copyeditor, it's very clear there was no professional editing of any sort done on this. The language is much rougher and more vulgar than necessary. (Vulgarity is not an issue for me in itself, however it is excessive and detracts from the story.) And finally, I found the ridiculous amount of name and brand drops in the first couple chapters very annoying. Despite the language, grammar, and syntax wearing on the English nerd in me, I still plan to finish this little book with the hope that the story itself can distract me from everything else. 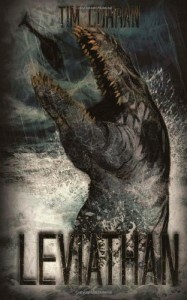 I LOVE leviathans, denizens of the deep, all the giant prehistoric monsters. Hopefully Curran's monster can redeem this novella for me! I had to fight to finish this book. Definitely not one I would recommend. The author skips all around his life so much, I couldn't keep straight where he lived and who he was with when. 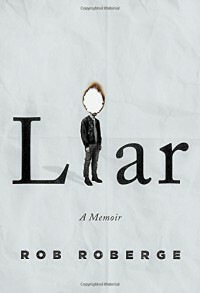 It is really a pointless memoir recounting random events of substance abuse and psychotic problems that are not at all surprising with all the ridiculously idiotic things the author has done. Don't waste your time, readers. Best literary fiction I have ever read! 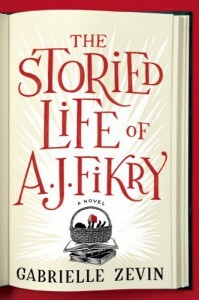 Strong protagonist and multiple layers of back stories and characters. 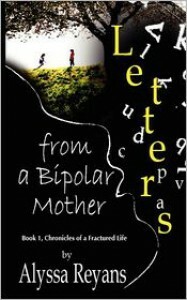 Amazingly accurate account of life with bipolar disorder. 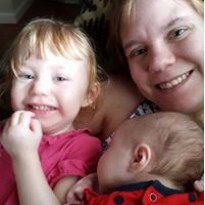 I could identify and sympathize with the author every second and her quest to recreate a life with her children is heartbreaking. The book itself could use a thorough editing job though. I really do have some things to say about this book. A more proper review will follow once I have the time to write it. Dark Dreams offers an in-depth and often troubling look into the minds of some of the most dangerous sexual predators and serial killers of our time. Criminal profiler Roy Hazelwood has dedicated his career to perfect criminal profiling in an effort to create the most accurate picture of potential offenders. Profiling has been used to both discover the warning signs of violent behavior before they become a real threat and to point investigators towards likely suspects in murder cases. Leaving out none of the gruesome details, the authors paint a truly vivid image of these crimes, the extents the killers go to in the throes of passion - whether sexual or rage, or even just for the rush of adrenaline. 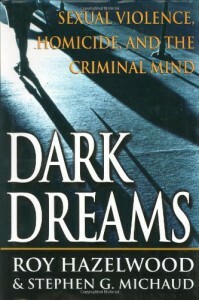 Readers of forensics or psychology and fans of true crime novels should definitely put Dark Dreams on their reading list. I found every chapter captivating, many times anxious myself to discover the killer's identity, in awe of the crimes they've committed. The information provided about the human brain and psyche shows the experience and dedication Hazelwood puts into his work as a criminal profiler, as the descriptions he provides in many of his cases turn out to be very true-to-life once the offender is finally identified. The author's credentials in this field of study are quite numerous, with many advances in profiling to his name, along with a natural propensity to understand and isolate factors that may trigger these violent criminals to act out. I highly recommed this book and give it a full five stars. The authors provide a healthy balance of what makes a work of non-fiction successful: information, entertainment, and readability. Abruptly beginning exactly where its prequel, "Only Time Will Tell", left off. 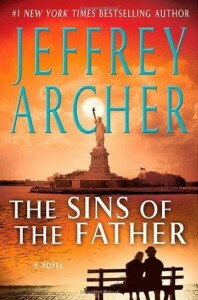 In the heat of World War II, Harry Clifton goes to extreme measures to maintain the rouse of his true identity, while Emma Barrington, unable to accept Harry died in the wreck of the Kansas Star and takes an extended leave to the United States to uncover the truth about her beloved, determined not to return to England without him. A secondary character in the series' first installment, we get a much deeper, intimate knowledge of Giles Barrington, Harry's long-time friend and Emma's brother, as his importance in the events of the series grows. Believing his friend has not survived the sinking ship, Giles sets out to fulfill Harry's dream of joining the Royal Army and fighting the Germans. Giles faces many of his own trials and tribulations as he rises quickly through the ranks, becoming more uncomfortable as he is given command of soldiers he once considered peers and equals. The reader also meets a slew of new, colorful characters also, some minor and others causing major plot twists, such as ruthless, renowned New York lawyer Sefton Jelks. The ever-present question of Harry's paternity is once again the key problem at hand, the one detail keeping the star-crossed lovers, Harry and Emma, from their dream of spending their lives together as husband and wife. Obsessed with proving he did not father Harry, Hugo Barrington, destitute and running his family's company into the ground, draining the coffers just to survive. 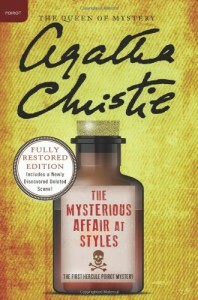 He hires a private investigator to keep tabs on Maisie Clifton's every move, bent on keeping the secret of Harry's survival a secret to ensure Giles will inherit the Barrington shipping company, if anything remains of the company as Hugo drains it dry of all funds. Just as beautifully written and shockingly suspenseful, this dramatic sequel matches the high expectations I had set after "Only Time Will Tell", and as in its predecesor, this novel begins by answering a few questions posed at the abrupt ending of the first novel, ending in the same manner- making one want to immediately go out for a copy of the third installment of The Clifton Chronicles. Well beyond worth the read, The Clifton Chronicles are fascinating novels set during a fascinating time in history. I give it five out of five stars and commend the author on his consistency and writing abilities. The Day of Judgement is upon planet Earth. Everything foretold in the Bible, from frogs falling from the sky to the ride of the Four Horsemen, is going according to plan. At ten years old, the Antichrist, affectionately named Warlock, has spent his short time on Earth being pushed and pulled by the influences of divine entities from either side of the moral spectrum, grooming him for his ultimate destiny to ring in Armageddon. Except there's one small problem. Warlock, lazy and spoiled rotten, is showing no particular interest in either faction and time is running out. Unknown to all involved, the infant Antichrist had been accidently switched at birth at the incapable hands of a rather chatty, devil-worshipping nun. The mistake is completely unknown to anyone until a hellhound, specially released to search out and serve only his true Antichrist master, and the plan for the end of the world begins to unravel. Dog, as the hellhound becomes known by his young master Adam, experiences life as a true pet and enjoys the attention from his diplomatic, if a little eccentric, Antichrist and his small following of three fiercely loyal friends. Meanwhile, centuries-long rivals and occasional "friends", the angel Aziraphale and demon Crowley, sent to Earth on the day of its creation to spread their respective values and behaviors and sway the impressionable humans to their side. However, after thousands of years on Earth, both have become accustomed to, and very fond of, the freedom and pleasures of our world and aren't ready to give up their current lifestyles. When each is ordered back "home" to prepare for the ultimate battle, they make the drastic decision to go rogue and stop the Apocalypse from destroying their comfortable living. One hilarious side story in the novel is that of the "witch" Anathema Device and her companion Newt. Guided by a book of obscure prophecies made in 1655 by a witch named Agnes Nutter, this strange duo also sets out to stop Judgement Day from occurring. Originally skeptical about Nutters' ability to actually tell the future, Newt blows it off as the bizarre hobby of a potentially unstable old woman. As their adventure takes off and their relationship begins to grow, so does Newt's faith in the extraordinarily accurate book. To further complicate matters, self-proclaimed witch hunter extrordinaire Shadwell, a life-long bachelor and a war veteran, hears wind of Anathema's reputation as a witch and sets off on a good, old-fashioned witch hunt. Also among the cast of highly unusual and entertaining characters are the Four Horsemen of the Apocalypse (whose "horses" are actually motorcycles), and a crochety old man constantly on the lookout for material for his next "Letter to the Editor" rant. A natural-born leader who continuously mesmerizes his modest preteen following, Adam knows something is pulling his focus to the nearby army base, leading his friends straight into the thick of the battle between Heaven and Hell. In a race to stop (or ensure the success of) the Apocalypse, mortals (along with an angel and a demon) take on the divine and discover that there's always an alternative to destroying the human race, and sometimes an old witch knows best. 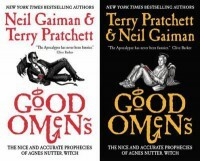 Hilarious from start to finish and brimming with imagination that can only come from these acclaimed fantasy writers, Good Omens is an exciting read and a hilarious reread that all readers are bound to enjoy. With no particular religious undertones, this novel burrows straight to the funny bone and holds on tight. A definite must-read for any fan of fantasy literature and anyone looking for a good laugh with a plot. A wonderful compendium of 19 short stories, written by some of the biggest names in fantasy writing, including Peter S. Beagle, Tad Williams, Gregory Maguire, and Tanith Lee, some of my personal favorites- and all centering around dragons of all types. 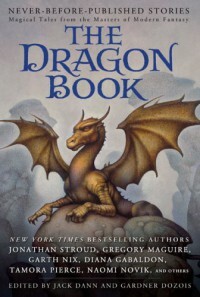 From lands of fantasy to present day, from evil dragons slain by the classic hero archetype to the noble, magical beings of lore, there are stories to satisfy all lovers of the draconic and fans of the fantasy genre. Not all of the stories were worth the time spent reading them, in my opinion, but the extreme diversity of these tales ensure there are at least a handful of stories that every reader will enjoy. The diversity also allows the reader to experience these classic beasts in some settings and situations in which they otherwise may not have been included in, creating a fascinating plethora of new experiences for readers. Richard Papen gets more than he expected when he first arrives at tranquil (not to mention, elite) Hampden College and becomes one of only six Classics & Greek students, taught by the charismatic Julian Morrow. The accidental death of a local farmer forces the students to keep a constant eye on each other, afraid someone may buckle under the weight of this secret and go to the police to avoid their own jail time. When Bunny (formally, Edmund), the most carefree of the group begins to crack under the pressure, Henry, the most meticulous and studious of the group suggests the only way to keep their secret is to keep Bunny quiet- permanently. Now responsible for two deaths, the friends' relationships, along with each individual, begin to change as paranoia and distrust set in alongside the guilt of Bunny's death. I found this novel to have a sizable amount of unnecessary "fluff," as well as being rather slow-moving between the monumental events, which take place quickly themselves, with much less detail and elaborations one would expect from the major scenes of the entire story line. The excessive use of alliteration often seemed too much, unnecessary, to me. The references come mainly from ancient Greek philosophers, fitting for the students' area of expertise, but little-known to the common reader. The class discussions the author includes are long and in-depth, requiring a reread or two to understand their significance to the plot, and sometimes having no connection to the current situation the group faces, but to one so much farther ahead that I had forgotten completely about these references until I went back through to collect review material. Tartt does present one of the most unique sets of characters I have seen. 'A strange group of outcasts at a prestigious New England college,' who have dedicated their college careers, and subsequently their lives, to pouring over long-forgotten texts written in Greek by long-forgotten authors, with a sprinkling of Latin and French. These become aids to transmit messages to each other in the presence of others. Written in second person, we can only learn of Richard's experiences, keeping the sense of intrigue and paranoia among the rest of the group. My real frustration came at the very end of the novel. It is my belief that the resolution introduces more questions that it answers, denying the reader closure and making the book feel somehow unfinished. 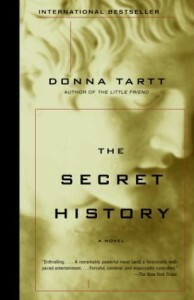 Richard's words perfectly describes the novel while summing up his roller coaster first year at Hampden College- this is a novel "...of sin unpunished, of innocence destroyed..." Full of surprises and rife with brain-bending twists, The Secret History is a worthwhile read for thriller fans. Ask any American child of the 80's who Atreyu is and they'll most likely be able to recall the hero in the movie adaptation of this highly imaginative fantasy novel that originated in Germany, caught fire and became a best-seller in 27 countries. The movie delighted children and adults alike across the U.S. as the tale of a lonely, bullied young boy named Bastian who discovers a mysterious book and delves into the tome, discovering its unusual qualities as he becomes entangled in the adventures of the character Atreyu, on his mission to save the Empress of Fantasia (Fantastica, in the novel). For those who have seen the movie, you've only experienced the first half of the novel (and a very condensed version of it, I might add). No cinematics could ever do justice to the extensive imagination Ende has put into this book, the many layers of plot, the fantastic, original creatures that inhabit Fantastica, and the full story that leads Bastian Balthazar Bux to take refuge in this world within a book. This piece of literature can only truly be appreciated when viewed through one's own imagination. Ende blows all other fantasy writers out of the water with his creativity in both the characters he's created and the adventures he sends them on. The Neverending Story is nearly three stories in one. It begins in our world, following the fat, friendless Bastian, who feels unloved even by his own emotionally distant father. After stealing The Neverending Story from a book shop, he stows away in his school's attic and buries himself in the pages of this strangely magnetic book. Then we switch between the story of Bastian reading in the attic and Atreyu, a young boy in the book on a quest to find the cure for Fantastica's dying Empress. Little does Bastian know that once he began reading, he became part of this other realm, immortalized in the true "Neverending Story." Lastly, we follow Bastian into Fantastica, where he has become exalted as the Savior of Fantastica through his renaming of their Empress. 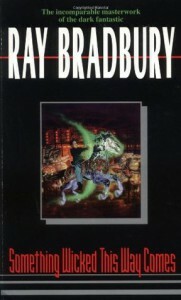 Wielding AURYN, a medallion gifted to him by the Empress herself, which grants all of its bearer's deepest wishes, Bastian becomes drunk with power, wishing himself strong, handsome, and courageous, all the qualities he lacks in his real life, risking his relationships with Atreyu and the luckdragon Falkor, the only two real friends he has ever had. Far from the only risk he takes, Bastian must figure out what he truly wants more than anything, before he ruins the world he only recently saved and becomes unable to return home. One of this novel's amazing features in the extensive amount of imagination and creativity with which the author fills every single page. Ende creates dozens on his own creatures, such as a "man-sized rooster in jackboots" and the Acharis, known as the saddest creatures in all of Fantastica, they resemble fat worms and cry a river of silver. Favorites from the movie are also given their due in the novel, like Pyornkrachzark, the rock chewer, and the night-hob Vooshvazool and his bat mount. The format in which Ende presents his novel allows two of the separate story lines to coexist and flow seamlessly into each other. The author even goes as far as to print in two colors- red text for events taking place in the real world, and green text for the happenings of Fantastica, further separating the imagination from reality. This multi-layer adventure carries the primary theme that friendship, and loving & being loved in return, are more important than the vain characteristics we humans are so often blinded by- power, looks, popularity. 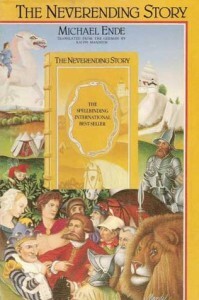 Indescribably imaginative, in my opinion, The Neverending Story was clearly well-planned and could only have come from the mind of a Grand Master of the fantasy genre.